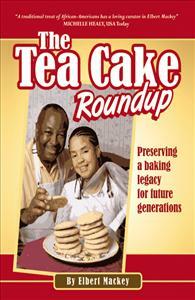 The Tea Cake Roundup rescues old family recipes and capture the remembrances that accompany them. It is the first to connect tea cakes to African-American society and preserve its culinary history. The Tea Cake Roundup is a distinctive collection of culinary and family traditions that will warm the heart and satisfy the taste buds. The brainchild of Elbert Mackey, this book preserves the endangered legacy of the tea cake and the accompanying family traditions. The Tea Cake Roundup began with Mackey’s personal quest to replicate his Aunt Maggie’s tea cake recipe. The tasty treats were a fond link to his past in rural Minden, Louisiana. As an adult living in Austin, Mackey longed for Aunt Maggie’s unwritten tea cake recipe. An avid cook, he earnestly set out to recreate the treasured recipe. I loved reading the book... smiled the whole time. Its a good-time read... a real "pick me up"... worth the price for the stories alone. But... I've just made my first batch of Aunt Maggie's Resurrected Tea Cake Recipe... and man oh man... are these GOOD! I ended up with double the number of cookies, so I'll make them thicker next time. Within 5 min 1/2 the cookies were gone when two pre-teens and my husband ran by the oven on the way out the door. I think I'll be making these again real soon and checking out the other recipe variations. You won't regret buying this book.